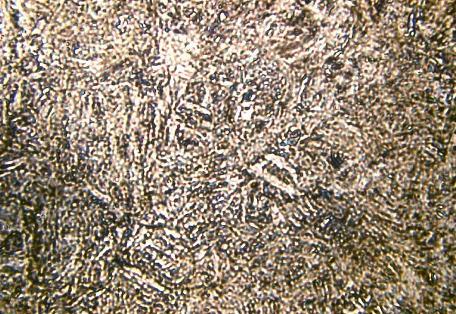 Martensite is a hard, brittle form of steel with a tetragonal crystalline structure, created by a process called martensitic transformation. It is named after metallurgist Adolf Martens (1850-1914), who discovered its structure under his microscope during his metallographic research and explained how the physical properties of different types of steel were affected by their microscopic crystalline structures. Martensite commonly is found in tools such as hammers and chisels and in swords. 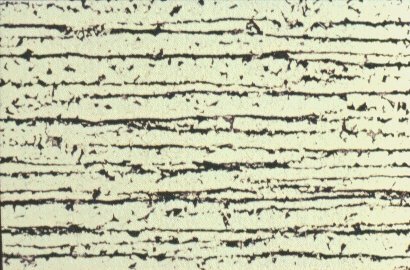 The martensite is formed by rapid cooling (quenching) of austenite which traps carbon atoms that do not have time to diffuse out of the crystal structure. 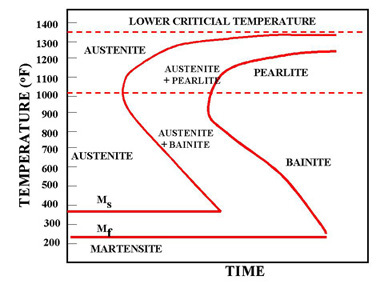 This martensitic reaction begins during cooling when the austenite reaches the martensite start temperature (Ms) and the parent austenite becomes mechanically unstable. At a constant temperature below Ms, a fraction of the parent austenite transforms rapidly, then no further transformation will occur. When the temperature is decreased, more of the austenite transforms to martensite. Finally, when the martensite finish temperature (Mf) is reached, the transformation is complete.